Your interest and dedication to photography matters to Canon. We know you want to build a career as a photographer, so we have created a three-day educational workshop to develop your skills. Calling all student photographers – if you want to attend Canon’s all-expenses-paid three-day development workshop at the leading festival for photojournalism, Visa pour l’Image, this is your chance! Canon Europe, world leader in imaging solutions, is proud to announce the third edition of the student development programme. This will be held in Perpignan, France, between 1st and 7th September. 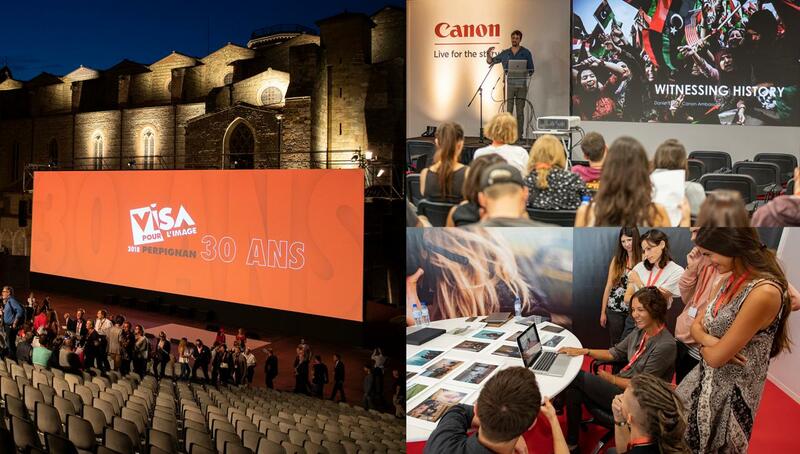 Canon will select 200 students across Europe and offer them the opportunity to develop skills from industry leaders, enjoy guided exhibition tours, network with imaging industry professionals and have their portfolios reviewed by inspirational editors and Canon Ambassadors. Visa pour l’Image offers the photography community unrivalled opportunities to exchange creative ideas, develop new relationships and enjoy a range of captivating lectures and seminars where professionals hand over their know-how to the next generation. To apply, simply send Canon up to two stories (each file should not be larger than 8 MB). You can submit a variety of formats (JPEG, PNG, TIF or PDF), each story uploaded as separate files. Each one should consist of up to 20 images with a synopsis of the project. Students must be between the ages of 18 and 27- as of 10th of May, 2019 to be eligible to apply. The application is open over a period of 8 weeks- from 18th of March to 10th of May. Shortly after, by May 20th- selected participants will be notified by email.